Why does having a mobile friendly website matter? There has been a huge change in the way people access the web in the past few years. In 2012 the percentage of people in the UK accessing the web from a mobile phone was 17.4%. According to OffCom, that figure rose to 61% in 2015. More people use a mobile phone or tablet to access the internet now than a desktop (56% compared to 44%). That means that the majority of people in the UK who browse the web use a touch screen device to do so, at least some of the time. Why does this matter? Because if you have taken the trouble to get a website for your business, you presumably want people to find that website, find information relevant to them on that site, and ultimately, become a customer, whether by buying online or contacting you for a service. The problem is that if your website was designed to be accessed on a desktop or laptop the content may not be usable to somebody using a tablet or mobile phone. The first and most obvious problem is usually the size of the text. If you spend any time on the web using your mobile phone – and the statistics suggest you do – then you will probably have come across a site with tiny fonts, so that you have to zoom in to read the content. Most people don’t bother, they just move on. Another really important issue is whether the menu buttons and links on your website are easy to use if you are touching them with a finger rather than clicking on them with a mouse. If your menu items are too close together, a finger could click on the wrong item, or hit two links simultaneously leading to unpredictable results. Again, if using your website is frustrating, people won’t bother. A well designed mobile-friendly website will have buttons and menu links with plenty of space between them, so that the average finger (between 45 to 57 pixels) can accurately select the correct link first time. That’s more space than you would think was needed, and almost always more space than is given on a typical desktop website, which only has to cater for a mouse. Few things are more frustrating than finding yourself on a website with content that you think you want to see and not being able to access it. A common reason for this is if software such as Flash has been used to create a snazzy animation. Flash isn’t supported on most mobile devices, so anybody using a tablet or phone will just see a grey box where your flashy animation should be. It isn’t just fancy software like Flash that can cause a problem though. Some web content is styled so that it works really well if you have a mouse, but not at all if you are using a touch screen. You have probably seen websites where, if you hover over them with a mouse, you see more content. Dropdown menus often use this, but so do the increasingly popular magazine type sites where you start off just seeing a picture, which probably doesn’t tell you much, but when you hover over the picture with a mouse you see some explanatory text. This kind of content, styled to work with the “hover” event, behaves rather unpredictably on a touch screen device. Built incorrectly, clicking on that dropdown menu might always just take you to the overview page, with a tantalisingly fleeting glimpse of all the other pages you might be interested in. The picture hover example will usually work OK if you touch – or tap – it twice instead of once. The first time you see the explanatory text, the second you follow the link through to the content. But you need to be confident that it is OK to make people using a touch screen work harder to reach that content. Finally, if you are using a tablet or phone over the phone network rather than a fast WiFi connection, having a lot of very large images on a website is going to make that site very slow to load. Slow, frustrating and potentially expensive. A mobile-friendly website should only use small images that are quick to load but which still add style and interest to your site. The fact is that different types of devices – phones, tablets, desktops – have different strengths and weaknesses. There are two main ways to ensure that visitors to your website get a good experience whatever device they are using, of making a website mobile friendly. The first is to have two websites, one designed for desktop machines, and one designed for mobile. I often use a 10″ tablet to browse the web. I find it really irritating when I am taken to the mobile version of a website, which has obviously been designed with the tiny screen of a mobile phone in mind. I get even more irritated if I realise that I only get access to some of the possible content via this mobile version of the website. I can often choose to view the desktop version instead, although then I often have to zoom in to make it readable. Instead of having two websites, and potentially maintaining two copies of your content, you could have a responsive website. A responsive website displays information differently based on the size of the screen, and sometimes based on different capabilities, such as whether it is a touchscreen. The same content will be available whether you are looking at the website on a smartphone, a small tablet, or your TV, but the buttons and text might be different sizes, and the content on the phone might be in a single column whereas on a desktop you might see three columns of content or more. Even if the various usability arguments don’t convince you that if you have a website, it really needs to be mobile friendly, there is one argument that, in my opinion, trumps them all. 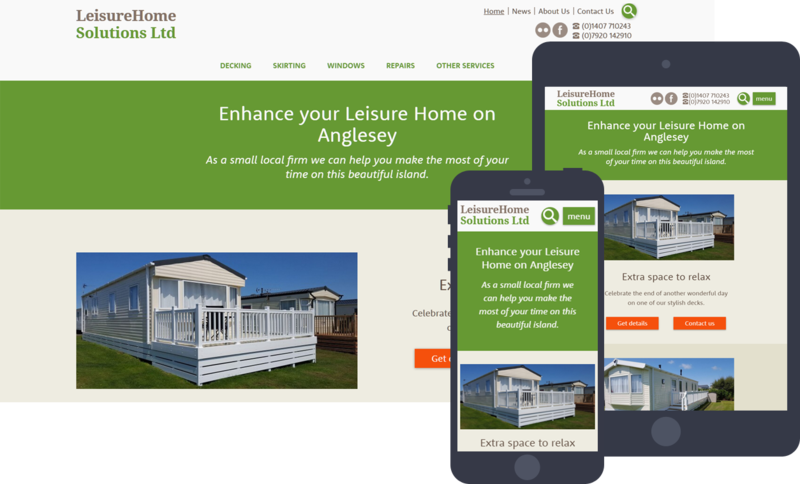 From April 2015 Google have been promoting websites they regard as mobile friendly in search results from any mobile device. Consequently, users will find it easier to get relevant, high quality search results that are optimized for their devices. Google was already adding a little label in search results indicating whether a website is mobile friendly. Now, if a website fails the mobile friendly test it will not appear high up in search results from a mobile device. Given that 61% of people in the UK use a mobile device to access the web, that means that over half your potential audience could fail to find your website if it isn’t mobile friendly.